Come Out & Support One of Our Favorite Non-Profits! 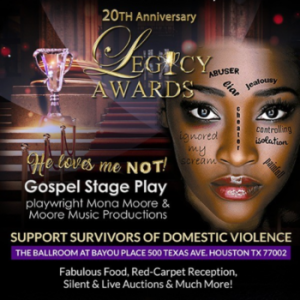 Fresh Spirit Wellness for Women, Inc. is a Houston-based non-profit organization dedicated to supporting victims of domestic violence and sexual abuse and their families, will be hosting its 20th Annual Legacy Awards on Saturday, October 13th at the Ballroom on Bayou Place. There will be a Red Carpet Reception, Silent and Live Auction, and Fabulous Food and more!